We strive to offer the most affordable rates in the area and cover all of Green Bay and the greater Fox Valley. Our friendly and professional team of experts strive to complete all of our jobs promptly and proficiently while working to accommodate your schedule - we are available around the clock and hold evening and weekend appointments if necessary. Hockers Plumbing Inc. has been serving the community for 40 years. We strive to offer the very best service to our customers and the fair pricing. 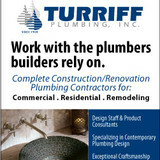 We pride ourselves on being a trusted name in the Plumbing and Building industry. Call us today - we are excited to bring you dreams into reality! Aquarius Water Conditioning has helped to provide families and businesses with soft water for over three decades. We work hard to provide the best customer service and water treatment. We offer Kinetico water systems, the finest water conditioning, water softener and water purification and water filtration products in the world. We pride ourselves on providing superior service – we respect you, your time and your home with attention to the details that really make a difference, like being on time and cleaning up after ourselves. Our business is our livelihood but it is also so much more. 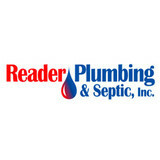 Sadler Sewer & Drain Cleaning Inc was started to fill in a void in the current market and to make a business that the people of Green Bay and surrounding areas can place their trust in. Over the years we have never lost our commitment to our clients and that is what has allowed us to succeed in a very competitive industry. We stand committed to our purpose as we stand committed to the people of Green Bay and surrounding areas. The history of Reindl Plumbing Inc. dates all the way back to the 1920’s when Mr. John Dietrich owned a sheet metal shop and fabricated cyclones for the St. Nazianz area farmers as well as installed tin roofs on barns. The company has evolved quite a bit from those days. We continue to fabricate sheet metal for residential or commercial installations, which also includes installation of furnaces, boilers, air conditioners, heat pumps, geothermal and solar as well as complete duct cleaning of your duct system. Our plumbing division is here to serve your needs, which includes new home installation or remodel of your existing home, commercial installations, septic systems and soil testing, sewer and water laterals and water softener installations. Fred Reindl, the youngest of the four children, became interested in the business in the early 1980’s. 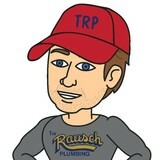 After working summers as a youngster, he chose the plumbing profession as his career. He is a master plumber, earning his license in 1985 after completing 8 years of training. His interests outside of the profession include serving as assistant fire chief for the St. Nazianz Volunteer Fire Department, serving on the local plumbing apprenticeship committee and practicing natural resource preservation. Every one of the co-workers at Reindl Plumbing Inc. are licensed by the State of Wisconsin as a journeyman or master plumber. Fred's wife, Janice, joined the company in 1988. She wears many hats throughout the day and her interests outside of the office are flower gardening and exercise. We thank you for your past and future patronage and invite you to schedule your next project or service with Reindl Plumbing Inc.
We are a small family business, with 4 Master Plumbers on staff. We have been in business since 1967. We do all aspects of plumbing and hot water heating (boilers), cross connections, RPZ testing, remodeling, new construction. A plumbing contractor handles the installation and repair of water, sewage and natural gas pipes throughout a home, as well as interior and exterior faucets and fixtures. Plumbing contractors are also trained to work with water mains, septic tanks, laundry appliances, water heaters, sump pumps and other plumbing and pipe systems. Because plumbing repair work is done largely behind walls and beneath floors, some plumbing companies can also patch or replace tile, stonework and other surfaces. Although some Wrightstown plumbers are generalists, others specialize in specific areas; a 24 hour emergency plumber will handle urgent residential repairs, while others may be more skilled in remodeling, natural gas lines, overhead sprinkler systems and more. Find a local Wrightstown plumber on Houzz. Narrow your search in the Professionals section of the website to plumbing contractors in Wrightstown, WI. You may also look through photos of Wrightstown, WI projects to find a licensed plumber who has worked on a project similar to yours. Here are some related professionals and vendors to complement the work of plumbers: General Contractors, Septic Tanks & Systems, Kitchen & Bath Designers, Kitchen & Bath Remodelers.